Jenny was born wild in Sumatra in 1972 and captured at a young age. 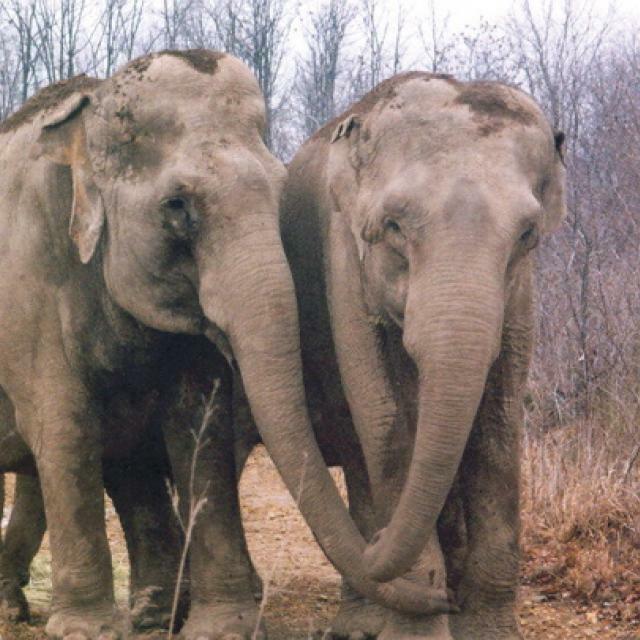 As a young calf, she spent one winter (1973) with a circus that also owned an elephant named Shirley, a brief relationship that would prove to be significant years later. 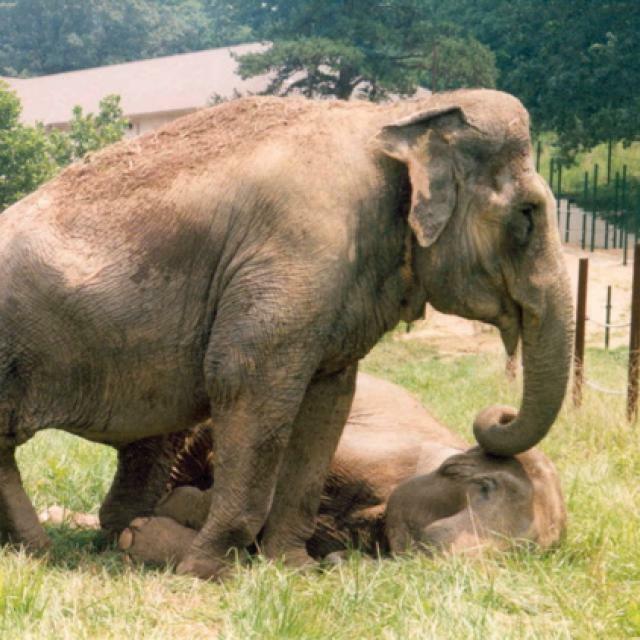 At 20 years of age, after repeatedly running away from her trainers during circus performances, Jenny was sent to the Hawthorn Corporation in Illinois for breeding, where she sustained a serious injury to her left hind leg caused by a bull elephant. Jenny received no treatment, but instead was reportedly put on pain killers and exposed repeatedly to the breeding bull. Due to this, she walked with a limp. In March 1993, almost one year after Jenny's injury, she was declared "useless" as a breeder. She was sold to a small circus and traveled throughout the United States for the next two years. 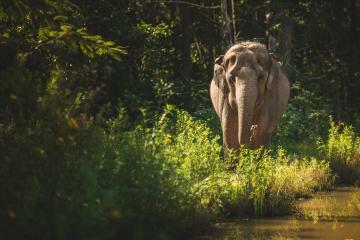 Competing for food with the other elephants and trying to balance herself in the moving trailer soon took its toll on Jenny's already fragile condition. She deteriorated to the point where loading in and out of the trailer was nearly impossible. As a result, Jenny was left inside the elephant trailer most of the time. In April 1995, Jenny's owner left her at a small animal shelter outside of Las Vegas. She was discovered severely underweight, not using her injured leg, and suffering from degenerative foot disease. Jenny's situation did not improve at the shelter. Jenny was exposed to below-freezing weather and put in chains at night due to inadequate facilities. Because of her untreated leg injury and foot disease, Jenny continued to put little weight on her leg and received no veterinarary treatment for her condition. 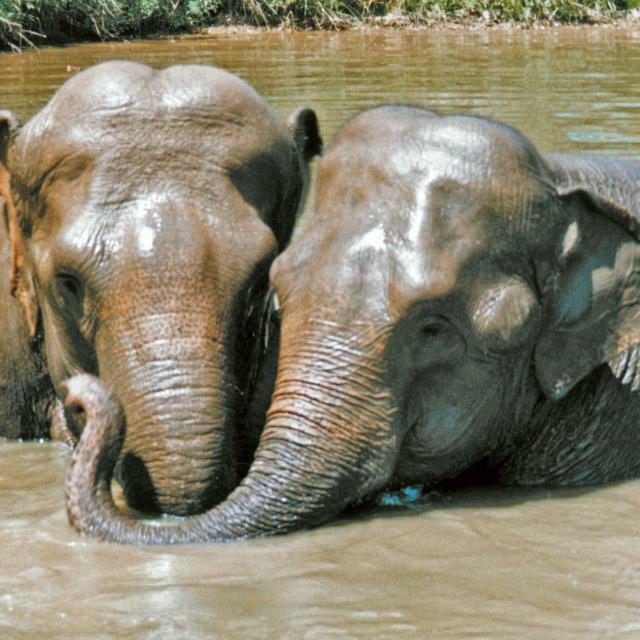 During that time, 20/20 did a piece on captive elephants, and Jenny was included in the story. The footage documented Jenny standing in feces, underweight, living in inadequate facilities, cared for by keepers with little elephant experience, with very little hope of change. Amazingly, on July 22, 1996, Jenny's owners contacted The Sanctuary. 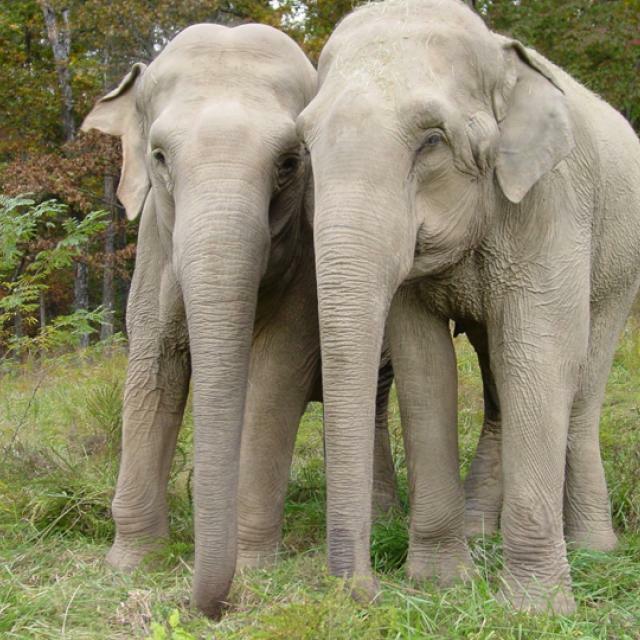 On September 11, Jenny arrived at the Sanctuary, becoming its third resident. It took some adjusting, but Jenny soon acclimated herself to The Sanctuary lifestyle and her new herd. One July evening three years later, Jenny returned to the barn to discover that a new elephant arrived. She seemed very anxious to meet the new resident, but it was soon realized that her intense emotional reaction to Shirley was much more than a casual greeting—it was a reunion! For the next seven years, Shirley and Jenny were inseparable, sharing a deep affection much like a mother/daughter relationship. 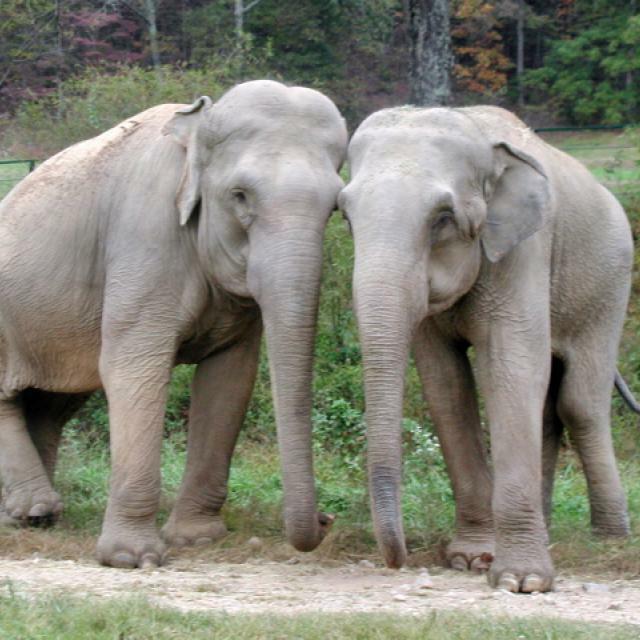 On October 17, 2006, Jenny died after a long illness, surrounded by her herd and the people who cared for her.